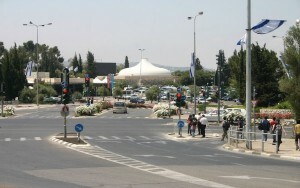 In the summer of 2010, the Israel Museum completed a three-year expansion and renewal project. The result is astounding: Israel’s largest cultural institution is also one of the finest of its kind in the world! Original exhibits remain, including the world-famous Dead Sea Scrolls, a meticulously accurate model of Jerusalem during the Second Temple Period and the fantastic Youth Wing. But today visitors can also stroll down Synagogue Boulevard, and, as well, explore the most extensive collection of biblical and Holy Land archeology in the world. From the bottom of our heart, Igor, Emma and I would like to thank you for the wonderful time we had in Jerusalem! These two days we spent with you was absolutely incredible journey to the Heart of the country. It was equally great emotional and learning experience.